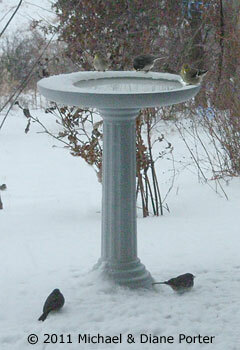 Last night's super deep freeze kind of crunched up the water in the heated birdbath, except in the center. But the birds still had access to melted water! It wasn't fully light yet when I shot this photo through my living room window, using the flash on the camera. 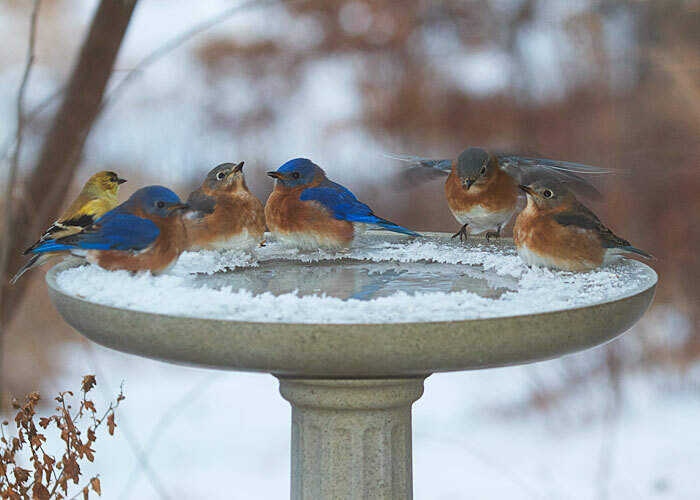 An American goldfinch and four eastern bluebirds were already there, and a fifth bluebird dropped in as I clicked the shutter.